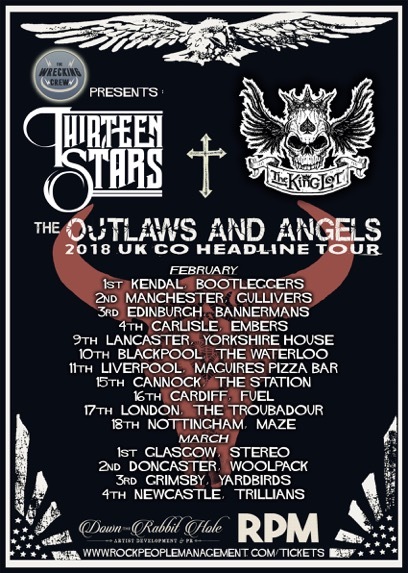 Thirteen Stars Release Brand New Music in advance of UK Tour. Thirteen Stars have announced release of a Live EP ‘Cheek By Jowl’ in advance of their UK Tour Dates. Fans of the Southern Style Boogie Rockers need wait no more, Finally, we will have a taster of what’s to come as Thirteen Stars release a Live EP with 4 brand new tracks. The EP will be available to purchase in digital format online and in physical format at one of their Live Shows… Copies will be limited and all signed/numbered. SABATON’s “The Last Stand” – On Tour with Trivium & Huntress this Month!